Since the early stage of electricity, Grenoble has been a place of innovation: laboratories and industries at the forefront of technology have established themselves there. It was ranked #5 most innovative city in the world by Forbes magazine and it is now labelled "French Tech" as a recognition of its technical leadership in France. In Grenoble, innovation dugs its roots in the surrounding mountains. That’s why the SnowCamp team organizes an "unconference" day following the conference where attendees will keep on sharing their knowledge and ideas in a less formal and more relax context, prone to creativity: the snowy slopes. the Unconference, on Saturday, offers to speakers and attendees an opportunity to meet each others on the slopes of the Grenoble area. A conference is more than just attending presentations, it's also the discussions with the other participants, meeting the speakers... What better to continue these exchanges other than a day in the open air? 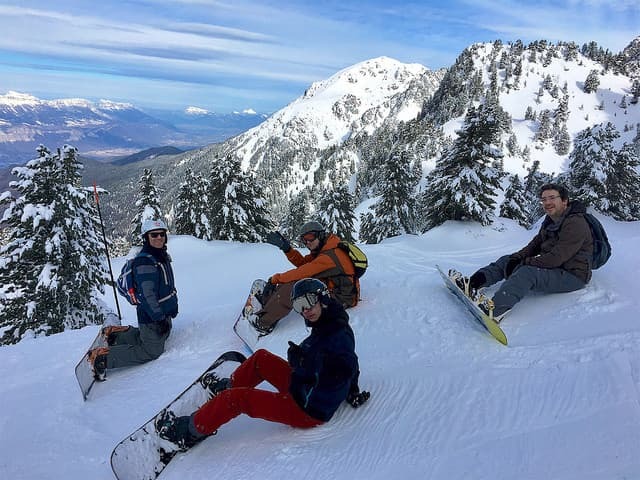 SnowCamp ends with a day on the skiing slopes, in order to take advantage of the exceptional surroundings of Grenoble.